The European Code of Conduct for Data Centres is a voluntary market transformation programme addressing data centre owners and operators. 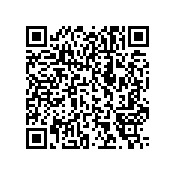 The Data Centres Code of Conduct has been created in response to increasing energy consumption in data centres and the need to reduce the related environmental, economic and energy supply impacts. The aim is to inform and stimulate operators and owners to reduce energy consumption in a cost-effective manner without hampering the critical function of data centres. The Data Centres Code of Conduct is in operation since 2008 and so far more than 300 data centres of different size and IT services have joined the Code of Conduct. The core of the programme is the commitment by the participant to carry out an initial energy audit to identify the major energy saving opportunities; to prepare an action plan; to implement the action plan; and to monitor energy consumption. 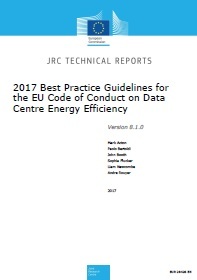 At the heart of the Code of Conduct are the Best Practices Guidelines, which indicate the areas for energy efficiency upgrades in data centres, covering dayto-day operations, equipment substitution, major refurbishment and new data centre design. The Best Practices Guidelines reflect the principle of area of responsibility for each type operators.